When Mike and I were teenagers, Mike worked as a bag boy at the Albertson’s on 5600 West and 3300 South in West Valley. I worked at the K-Mart next door. Sometimes he would visit me on his lunch hour, but that was before we were in love. We were just friends then. The two of us know what Christmas can do to a store. K-Mart would have every register open and lines snaking back into the aisles every Christmas. Mike only had to deal with typical Super Bowl Sunday type of crowds that consisted of lots of people with only a case of beer and some chips in line. Wednesday, Christmas Eve, I was waiting in line at the Albertson’s in Sandy. They were snaking back into aisles. This was not your typical Christmas Eve at the local Albertson’s. Something was different. Every single register was open and full of people. They had carts filled with food. I was a typical Super Bowl Sunday shopper, with a tray of deviled eggs and a few other snack items, but I was the exception. I was surprised at the crowds, but I had dealt with crazy crowds at stores throughout my teen years, so I calmly got in line and asked Mike to go to the store next door to get the wrapping paper that Albertson’s had run out of long ago. He was behind me in line: a friendly guy, the type that talks to people when there is a long wait ahead. I heard him talking about sports to the man behind him. I had pulled out my Palm and was playing a game. My turn came to unload my deviled eggs and cookies onto the belt. I finished quickly and motioned to him so he could start loading his purchases as well. That opened the door. He nodded and it was my turn to talk to the frazzled employee. She was tired and the bag boy was telling her that he hadn’t had a lunch yet, even though he had been there since nine that morning. My purchases were rung up and paid for with very little interaction from her, but I didn’t need interaction. I just needed to get out of there so that I could wrap some presents. The confession with the Christmas Shopper hung with me, though. I talked to Mike about it. The second I said it, I knew it was true. At least it was true for me. Sure, I didn’t want to go to war. Sure, I’m not pleased with what my president is doing. Sure, I feel shame at the bully attitude that my country is expressing in the world. But, damn it, I’m glad we found Saddam. We found him cowering in a hole looking like the smelly guy who willing takes half of my burrito when I’m too full to finish it. Not only that, the vision of Saddam, captured and degraded, has convinced Gadhafi to get rid of his weapons of mass destruction in Libya. Peace on Earth, Good Will To Men. We took one step closer to that ideal this year. I felt like celebrating it and so did every other person in that grocery store Christmas Eve. Yesterday we had a snow storm. After years of drought, I realized that I had gotten forgetful. On the drive to work, it didn’t take long to for the instincts to kick in: don’t use your brakes, coast slowly to a stop, take your foot off the gas when you start to slide, turn into the slide. It took me an extra twenty minutes to get to work. That’s how time used to be measured in the winter. I remember now. In the winter, you need to wake up twenty minutes earlier, just in case it snows. It didn’t stop snowing, either. I was assigned to work the day after Christmas: we needed someone to man the phones. It was me and one engineer. The rest of them took the day off, knowing that they would want to celebrate the holiday and thanking themselves for that planning when they woke up to a foot of snow. The longer I stayed, the more nervous I got for the drive home. The plow came twice to clear the parking lot. The red trees that separate our parking lot from the neighboring business lost their leaves long ago. Yesterday, their branches were weighed heavily with the snow that clung to their limbs. I am still worried that their branches will break under the weight and there will be fewer branches for my sparrows when they return from wherever they are hiding. Some of the limbs hung all the way to the ground. Welcome back, Old Cowboy Winter. You have been a dry and brittle visitor for the last few years. It’s nice to see that you still have a snowy side. I’d love to talk, but I’ve got a driveway to shovel. It looks like I’m going to get my White Christmas after all. It snowed on Wednesday night and it has been too cold for the snow to melt ever since. It makes me happy in a child-like way. The snow is powdery, so it’s no good for snowmen or snow balls. It’s just right for skiing, but I’m not that type of girl. I’m sure Snowbird, Brighton and Park City are active with skiers. If they aren’t, they will be right after Christmas day. This sort of fluffy goodness is what made our mountains the site for the Olympics. It just makes me happy that we have snow instead of yellowing grass for the holiday. My first thought when I saw this video was how bloody annoying it would be to be the neighbor across the street. Fortunately, the music was broadcast on the radio, not blaring out of the house with a loud speaker. Of course the constant flashing of the lights (they’re pretty bright), would be distracting, not to mention the crowds of cars that come through that neighborhood every year. There are neighborhoods where Christmas decoration seems to be a competition of sorts. There is even rumor of streets that force their residents to decorate for Christmas by placing the requirements in the easement. When I was told that story about Christmas Tree Lane, I just nodded and smiled and hoped it wasn’t true. The person who told me about the easements said it like it was a good thing. Sometimes people decorate so much for Christmas that I feel like I don’t need to do anything. I can just enjoy their lights and not have to fuss with those green and red Rubbermaid boxes in the basement. 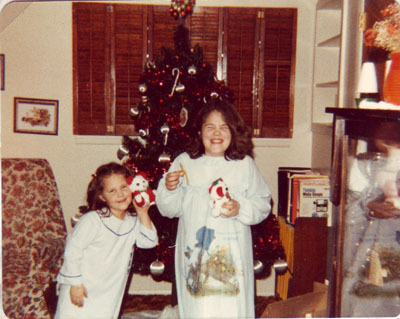 In honor of the holiday, I brought out my photo album and scanned in the photos of my first Christmas that I remember. My dad had been really into the whole Jehovah Witness thing when I was a kid. We technically weren’t supposed to celebrate any holidays after the divorce, but my mom missed Christmas, so she said she was going to celebrate it no matter what. We didn’t need to participate if we didn’t want, but she was going to have a tree. She said she would get us presents if we wanted and that year, both Stacey and I really wanted. Here is a picture of Stacey and I in front of the Christmas Tree. Stacey is on the left looking like a commercial for Christmas itself and I’m on the right. I hadn’t learned how to do my hair yet. No matter how hard I tried, I couldn’t get it to flow like Farrah Fawcett’s hair. Check out the Holly Hobby pajamas. I wore those until they didn’t fit anymore, I loved them so much. They stuck to the sheets because they were made of flannel. At night, under the sheets, when I moved in the dark, I could see little static electricity sparks. The presents we are holding are some toys that Marieva Richie gave us. Marieva was a friend of my mom and she used to always give us little presents. The curly pencil that I’m holding on the left was something that I actually still have. It was so cool that I didn’t want to use it as a pencil. It’s in my memento box with my old journals and letters from girlfriends. I can tell so much from this picture. The cabinet on the right of the picture is the china closet. It is an antique from my grandma in Montana. I guess Dad didn’t take that piece of furniture until after December 1980. It ended up in my dad’s apartment. He eventually gave it to me. Right now, it’s stored in the basement because the house we are living in is so small that I don’t have a place to put it. Also to the right is the bookcase with the National Geographics. My grandpa in Montana had a subscription to National Geographic for us kids. We got every one from 1978 to 1982. 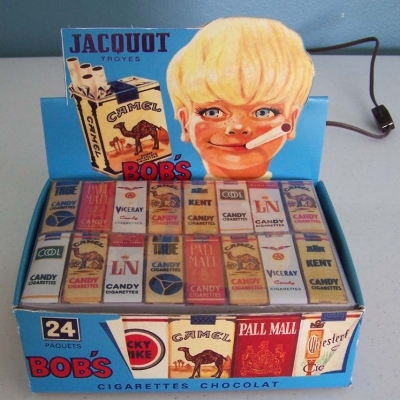 I got custody of them when mom sold the house in West Valley because no one else wanted them. I kept the cool ones (I have ALL the National Geographics on DVD, now, so I don’t really need the paper) and gave the rest to The DI. It’s funny to see them there. I don’t think any of us really pulled them out and read them. They weren’t organized usefully like an encyclopedia, so I couldn’t really use them for school reports. Last time I drove past the house in West Valley, it looks like the new owners have removed those shutters off those windows and removed the huge bushes in front of them. I remember that room always being so dark because of the bushes and the shutters. That didn’t bother me, though, because we had privacy. On the Christmas tree, those white balls were made of plastic and were covered with silk or angel hair. The cats loved them and one by one, we had to throw them away over the years because a cat had torn it apart. 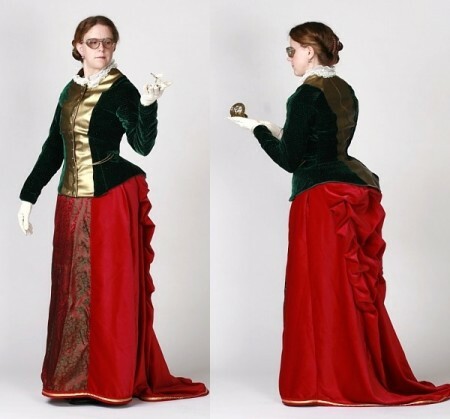 There were also some fabric ornaments that showed Victorian-Era Christmas people. Mom sprayed them with pine-scented air freshener because she missed the smell of a real Christmas tree. Christmas smells like Lysol to me. I love this picture. This is the first Christmas Stocking that I ever had. It’s not fancy velvet like the ones I have now. It was made of felt and Carol wrote our names on them with glue and glitter. Over the years, our names cracked and fell off the stockings. Eventually, I got married and moved out of the house. I have no idea where those stockings are now, probably at the Salt Lake County dump. Doesn’t matter. I can remember them clear as day. I am smelling the Jovan Musk perfume that came in my stocking. This was half-way through sixth grade. Soon I would be in junior high school and my mom would let me wear makeup. For now, though, all I could do was wear perfume. I thought it was really grown up. Jovan still makes that perfume. 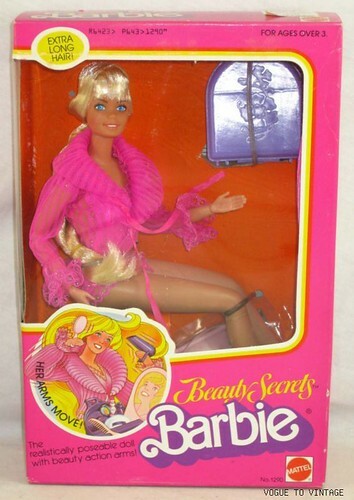 Whenever I smell it, I think of trying to prove I was grown up. To the left of the photo is the old black and white TV on its TV stand. I will never forget the shock of pointing at an old black and white photo of my mom in her younger days. In the background was OUR TV. I had such a hard time believing that my mom could have owned that television for longer than I was alive. She said it was hers when she lived in an apartment before she met my dad. I couldn’t believe it. Also to the left is an end table that my dad eventually got in the divorce. Every once and a while I see one of these end tables at the trendy retro furniture stores in Gallery Row. They cost over a hundred dollars. My dad ended up damaging that table so much that it went in the garbage bin years before it could have fetched such a great price. To the right of the photo is our fireplace. We pretty much only lit fires during Christmas time. Carol would always have those Duraflame logs that we could light so easily. Once she even let us light three at a time. It was a huge fire, but it didn’t burn any hotter than a one-log fire. I remember sitting on the hearth and feeling the heat of the fire on my back. 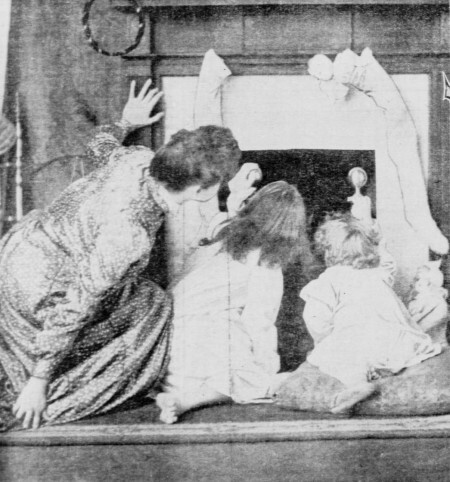 It was always so warm in the family room. This is the last picture I have of 1980. Luckily, it shows all of my presents right there in one place. I am opening the BEST present that I got that year. It was called the Fashion Design Center. I can barely describe how fun and cool it was. There were plates of heads, torsos, pants, skirts and footwear. You could choose whatever you wanted, place the plates in the center and put a piece of paper over it. Then you go over the plates and paper with a black crayon. It would show the outline of the model that I had created. After that, I could color the model with colored pencils, water colors or crayons. Honestly, the colored pencils worked better than anything, but having those options was really cool. 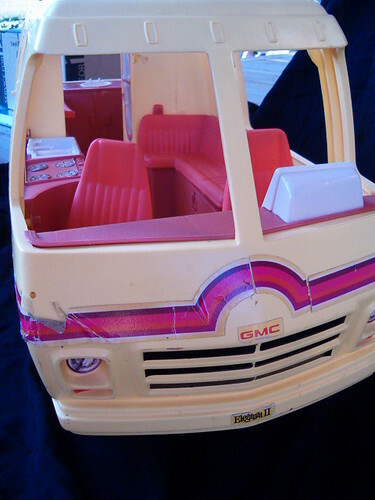 I played with that toy until about ninth grade. I have no idea where it is now, but it served me well for the years I had it. I think the SuperCurl 3 in 1 was a hair dryer. I don’t quite remember anything except hoping that it would finally be the magic tool that would help me make my hair look cool. It didn’t. It would take me about ten years before I learned that if I didn’t brush my hair, it would be just fine. No fancy blow dryers or curling irons are necessary, just leave my hair alone, and it will look so much better. The next present is the Fresh n’ Fancy Perfume Making Kit. I made many smelly concoctions with that thing. 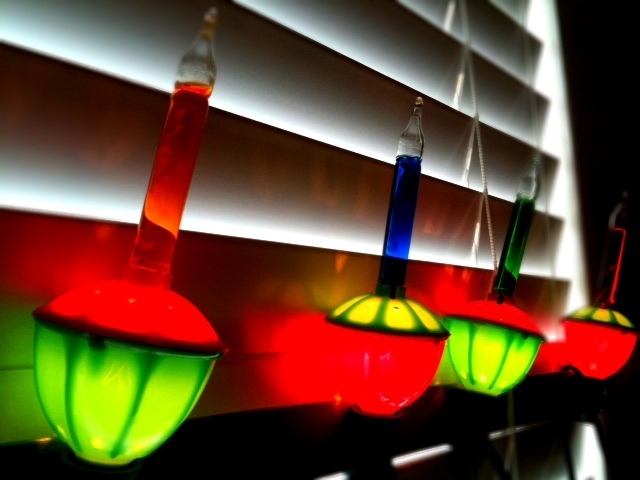 The next year, I would get a chemistry set for Christmas. You can’t imagine the smells that I made with that thing. 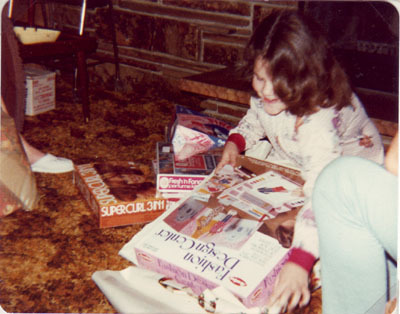 It’s not pictured here, but that same year, I got a fingernail polish making kit. 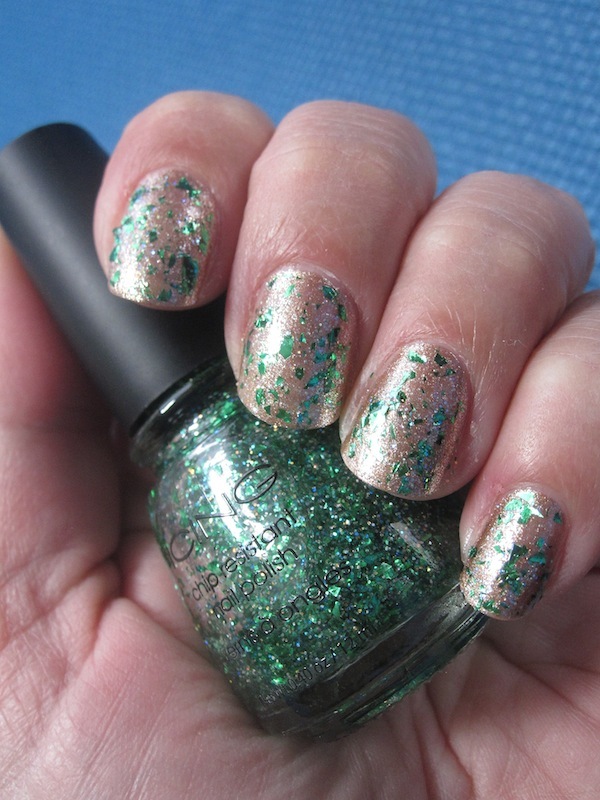 I very quickly learned that I could make red, pink or orange polish and no matter what I did, the polish would peel off my nails in one rubbery piece. The last present pictured there are my Fireball Roller Skates! I loved those things! Chelly Bird, my friend, had a pair of tennis shoe roller skates, so now I would finally be able to skate with her. Sure, those skates were more like roller derby skates, but they were better than nothing! I wanted to skate with them so bad that the next day, I skated on our covered patio in the backyard. There wasn’t much room, but I wanted to be able to play with my new toy. I skated all that winter to school. That year, I got a lot of presents. I think that year we got past the “Don’t Celebrate The Holidays” technicality by opening presents on New Year’s Eve instead of Christmas Morning. It didn’t matter to me. For once I was more like normal kids. I got to come back from the school break and say, “I got roller skates for Christmas.” We got a pretty Christmas tree with lights and pine smells. It was a great Christmas that year. I’m smiling just thinking about it. I couldn’t count how many times I have watched that movie. It is truly a perfect Christmas story. What our new generation needs is a Christmas movie that is just as perfect and timeless. I wonder where it will come from. 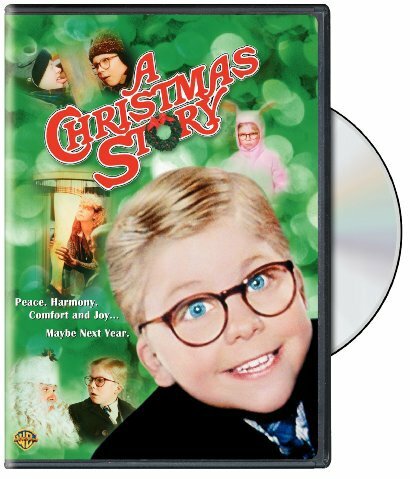 The last truly good Christmas movie that they have made was A Christmas Story. I’m always surprised when people tell me they have never seen it. How could they have not seen it? I never saw it in a theater. I never consciously sat down to watch it. It was always on television from December first until after Christmas. I’ll never forget the scene where his friend gets his tongue stuck on the flagpole. That’s another great Christmas movie, but it was set in the fifties. It’s time for a truly wonderful Christmas movie set in 1982. Moral of the story? If you’re trying to get incriminating evidence, you can never sleep. My friend has gotten a job at Macy’s to tide him over until his teaching position starts in the Spring. He logged his experiences working Black Friday. I worked Black Friday for seven years in a row when I put myself through college. I was at K-Mart. It’s nice to know that the rich people who shop at Macy’s are just as rude as the plebs that shop at K-Mart. BTW, the reason they don’t pick up the upper sweaters to get theirs is because their HANDS ARE FULL. That sort of display is ALWAYS going to be messy, but if it wasn’t, they wouldn’t need to pay you to keep it neat. Oh, those six days you have scheduled off? They’re going to call you in at least once. After today, some of the Christmas help will not come back. They just won’t show up when they were supposed to. If you’re reliable, they’ll give you more hours than you could possibly work and you’ll dread the phone. Luckily, there’s call waiting. It has been 15 years since I worked Black Friday and I still have scars from it. I NEVER shop the door busters. I find them the embarrassment of humanity. I wish I could forget the year that a riot broke out with fighting for seven dollar blankets. Women pushing and grabbing. The pallet was empty within seconds. Honestly, sometimes I miss it. Working 80 hour weeks with crabby Christmas shoppers sounds like hell, but part of it was fun. I never fully get into the Christmas mood as I did those years that I worked retail. As difficult as it was, having Christmas thrown in my face every day really made me appreciate those few hours of the day when the store was closed and I could be with my family. This commercial from The Gap for Christmas makes me want to jam knitting needles in my ears. The choreography is awesome, but the cheerleading chanting is HORRID! Gwen Stefani, Tony Basil and the Black Eyed Peas are going to hunt down the director of this commercial and beat him/her to a bloody pulp. I checked The Gap’s website and last year’s commercials are LONG gone, but you should be able to find them on YouTube: The Gap Merry MixIt. I found this full sized magazine ad from last year, so I scanned it in at the best resolution my little scanner could take. It was a HUGE file, so I had to reduce it so Flickr would accept it. 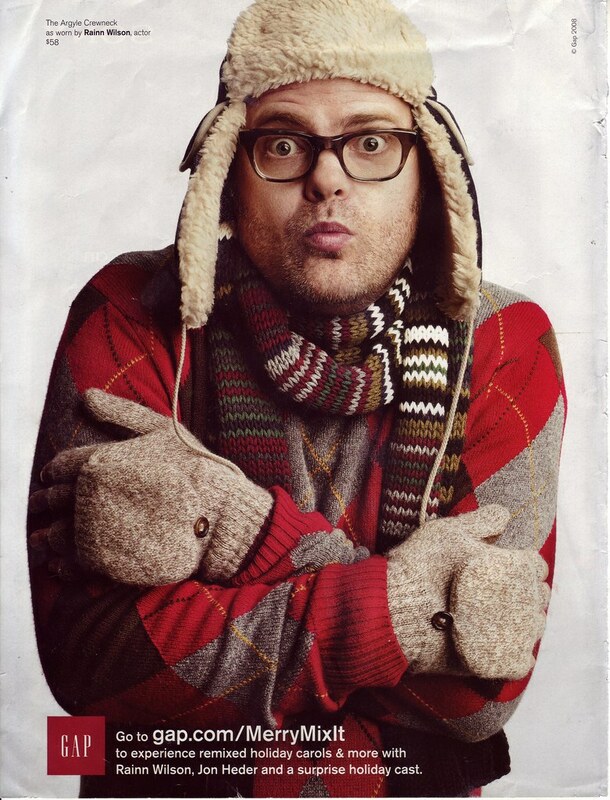 You can download it here: Rainn Wilson Gap Ad 2008: Full Size. I just loved this photo. I even wrote about it last year. Too bad they laid such a bad egg this year. I guess I’ll just reminisce about last year instead. Here’s my second favorite Gap commercial from last Christmas. 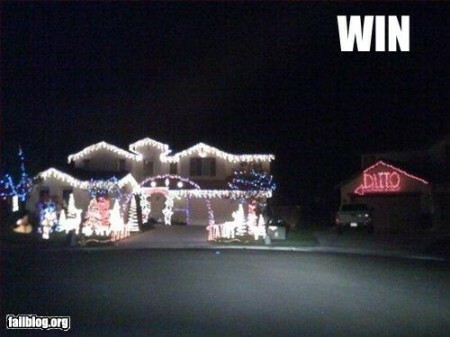 Mike and I have actually considered decorating the house for Christmas this year, but we haven’t touched the lights yet. Maybe we should just put up the tree and call it good there. Does the whole world really need to know that we celebrate Christmas? Via: Your Weekly Treats « Lolcats ‘n’ Funny Pictures of Cats – I Can Has Cheezburger? In honor of my friend, Braidwood at Authentic Threads, I’ve decided to create a Cool Christmas Playlist. Since some of the songs were recommended by her last year, she might not have much use for it, but there might be a song or two there for her. I generally don’t like Christmas music. There are only so many times I can hear We Wish You A Merry Christmas in a month before I start to get homicidal. I love unique Christmas songs, so I’m creating the coolest Christmas playlist EVAR. Note: I’ve tried to link to Amazon.com MP3s for any that I could. If I couldn’t find them there, I’ve linked to iTunes (with a warning). If I couldn’t find it in either places, I’ve linked to an album at Amazon. Oh, and if you buy a song, I get a commission from Amazon or Apple. I have lots more in my Cool Christmas playlist, but this list is already a little daunting. Hope you like it! The best part is that there are a couple of different commercials for each drawing, so by the time the helium balloon sucking rendition of Deck the Halls came around, I was laughing out loud. The wonderful three frames blog is celebrating Christmas with three-frame tidbits from a wide array of movies. 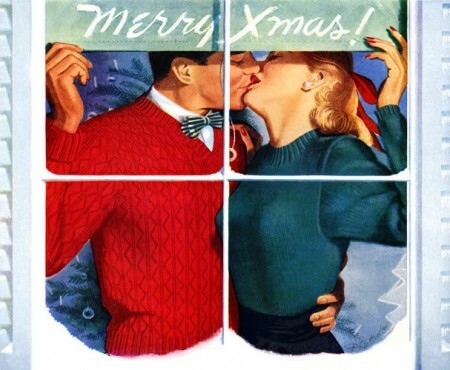 This one, from White Christmas, is my favorite. I love the look on Danny Kaye‘s face. So adorable! This three frame tidbit is taken from this Minstrel Number, which isn’t very Christmasy at all, despite the lovely costumes. Scroll to the 3:22 mark to see the three frames moment. I’ve had a crush on Danny Kaye since he was on The Muppet Show and sang the song, Inch Worm. I love this little commercial for CBS from 1966. My stomach turned when I saw the forest man with the saw approach the tree. Such a wonderful short! It’s fun to see the way Christmas was viewed in the past. The idea of waiting until Christmas Eve until they get the tree is surprising to me. My family always put up the tree on Thanksgiving. Of course, ours was an artificial tree, so it wouldn’t get all dry and fire hazardy over the month. It was hard for me to watch the whole episode because Ozzy keeps getting Christmas obligations piled on him. I’m the kind of raunchy grump who would scare away too much responsibilities or just say no outright, so it was hard for me to watch Ozzy be such a push-over. Women’s Clothing for Sale from Twin Roses Designs! After a Steampunk Halloween, I am almost tempted to have a Steampunk Christmas! If this Christmas season has been a little much for you, here’s a Christmas song to cheer you up. If that wasn’t good enough for you, how about this one? I love Christmas songs that are just a little different. I’ve been listening to Christmas at Ground Zero every year for about twenty years now. It’s a classic to me. This happened before my parents got divorced, so I was younger than ten years old. I grew up Jehovah’s Witness from the time I was four years old, so Christmas wasn’t a holiday that we celebrated. I had no memories of those few Christmas holidays that we did celebrate and even my last birthday party (held in secret so my father wouldn’t find out), was fading. My mom, Stacey and I were at a party on Christmas Eve. A friend from my mom’s work was throwing the party and Mom wanted to drop by quickly to say hi to her. We were only going to stay a moment. I remember being worried that we might get “demonized” if we went to a Christmas party, but my mom said it was okay. We weren’t participating in it, so we would be safe. We walked into the friend’s house from the cold and the noise knocked us over. There were tons of kids there, playing loudly. My mom said we were only going in for a minute, so don’t bother taking off your coat. Grownups always forget how long it takes to talk to somebody, however. I remember standing in the warm room with my coat on waiting for them to finish talking. How come grownups can talk SO MUCH?! It’s like they LIKE talking. I contemplated the idea that talking might not be as boring to grownups as it was to me when the mayhem started. 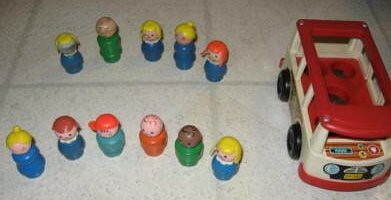 While I was sweltering in my winter coat next to the heat of a wood stove, the kids had all arranged themselves on the floor of the living room. Each child had a present in front of them. An adult counted down and all the kids immediately started ripping open their respective packages. Paper was flying with noisy disrespect for the beautiful wrapping. I watched in awe as the kids went from present to present, opening in a frenzy. They didn’t even stop to play with each toy. They just opened and opened and opened. You might think that I felt left out. All these children were opening gifts and I didn’t have anything. There are many times in my life that I felt left out because I was a Jehovah’s Witness, but this wasn’t one of those times. I was disgusted (and probably a little overheated from the wood stove and my winter coat). 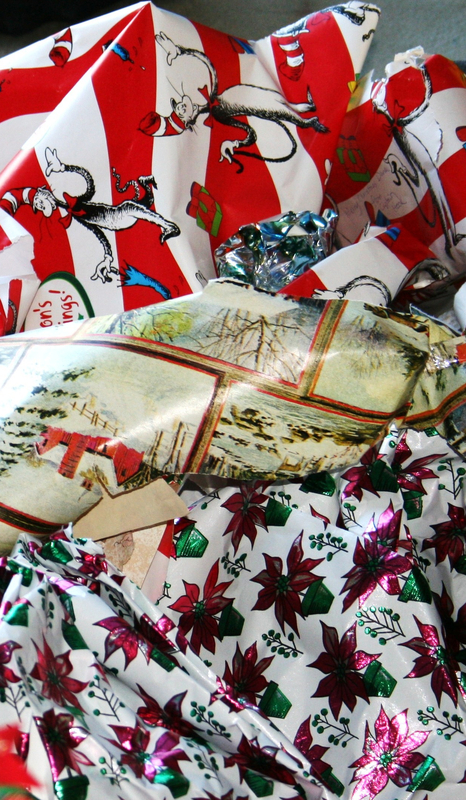 After the divorce, when we were able to have our own Christmas celebrations, our gift unwrapping was very different from that night. No matter how excited I got by all of my presents, I never let myself get into that frenzied mayhem of present unwrapping, partially out of disgust for what I saw that Christmas Eve, but mostly out of gratitude for all of those Christmases I missed. I don’t care for scrapbooking since I do all of that memory stuff digitally, but I do like playing with GIMP and making pretty things. This is about as ambitious as I get, though. Feel free to download this and put it on your own door if you want! 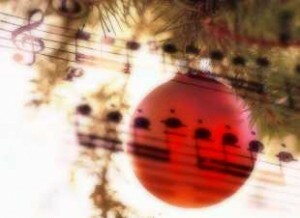 I heard this song, Tiny Tree Christmas by Guster, on a commercial and I just loved it. It gets me into the Christmas spirit with its indie charm. I found these bubble lights at Hobby Lobby the other day. My grandma used to have some on her Xmas tree, so they made me feel closer to her. For only twelve bucks, I was able to bring my grandma back to life, if only for a second. I’m continually amazed at the power physical objects have to connect me with my past. 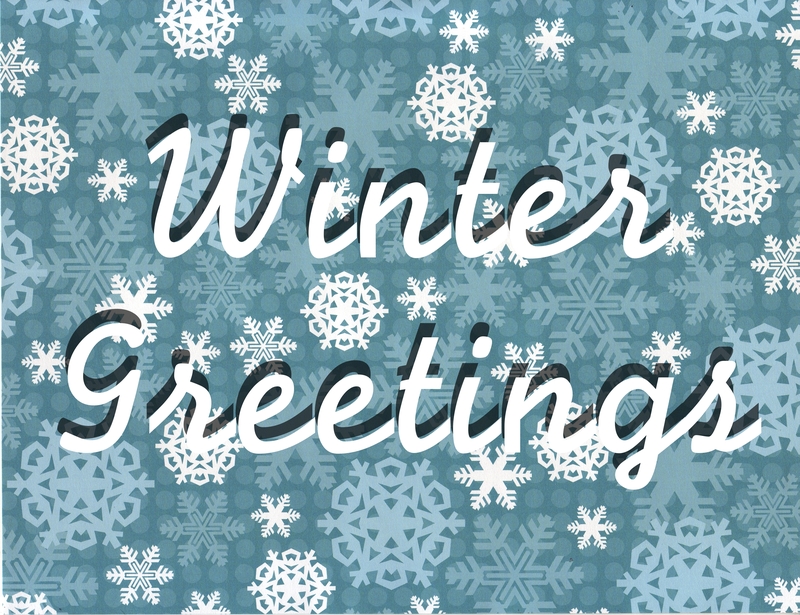 I hope you have a lovely Christmas this year! I’m embarrassed at how much I enjoyed these. Just like a Choose Your Own Adventure book, I systematically watched every iteration. 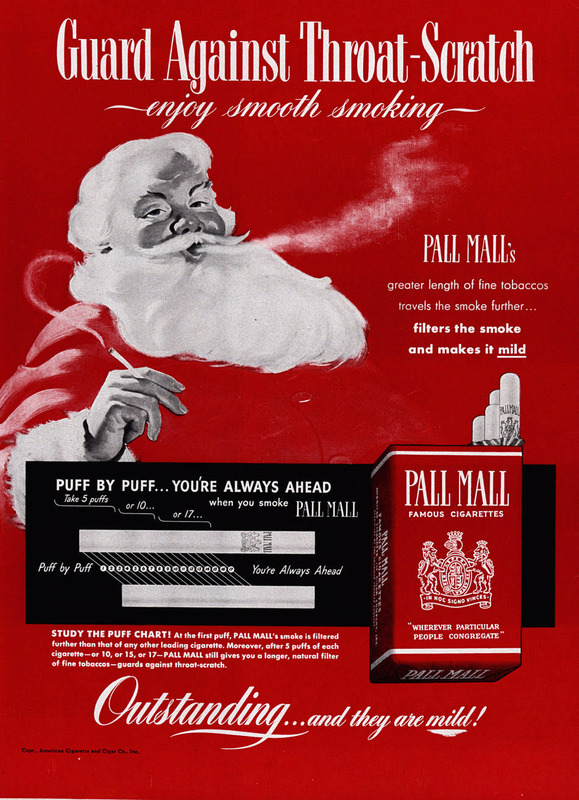 Merry Xmas from the Past! I found this old photograph in my grandmother’s things. I don’t recognize either the man or the young girl in the photo. Since my grandmother worked in a photography studio long ago, it may be that these two people are merely strangers, but the photograph is undeniably endearing. The little girl believes in him so fully, despite his lack of a bowl full of jelly. She is entirely unaware of the camera and is focused on Santa completely. 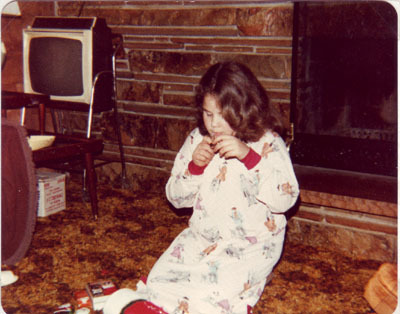 May all of us have as magical of a Christmas as this little girl from the past! 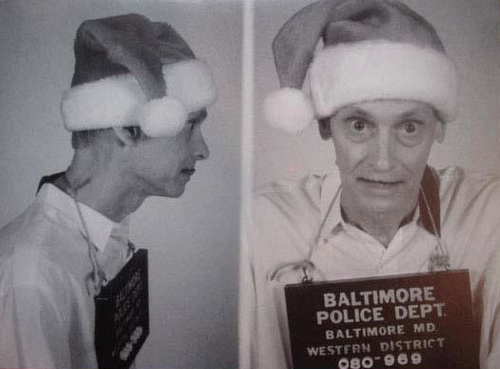 Wil Wheaton posted this picture of John Waters’ mugshot. I had no idea where it came from, but I loved the picture so much that I had to track it down. According to Dreamland News, John Waters sends out Christmas cards every year. Every year, John Waters sends a personally signed Christmas card to a select list of friends and associates. Over the years, several of these cards have found their way onto the net, so I collect them here as a special holiday greeting to you. Pictured above is 2006’s card, a genuine mug shot from the Baltimore Police Department. I feel a little jealous that I don’t have an awesome mugshot of myself to send to all my friends in a Christmas card. Whatever turn your holiday takes, I hope it’s a happy one! 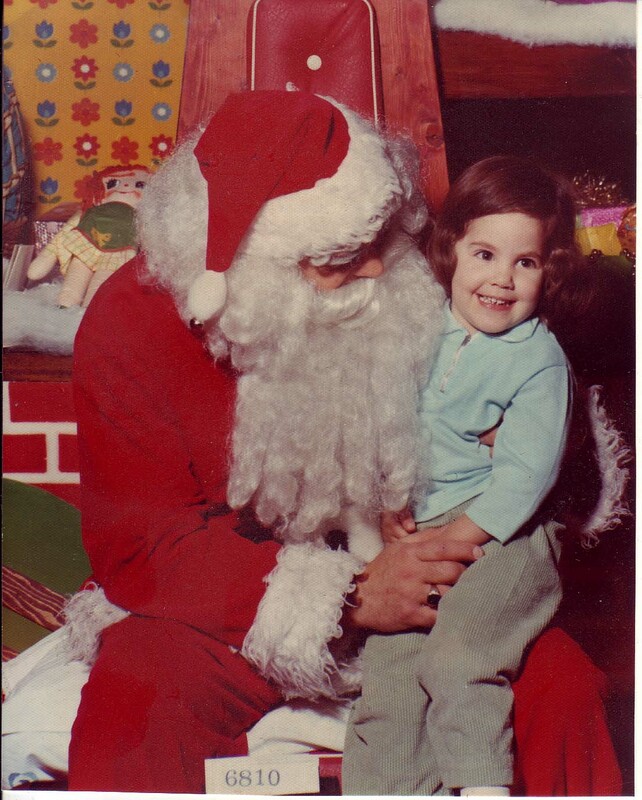 When I was scanning all my grandmother’s old photographs, I found this picture of me with Santa. I had never seen it, so if my parents had a copy, my dad must have gotten rid of it when he went all Jehovah Witness. He joined that religion right before my fourth birthday, so I must have been three years old in this photo. 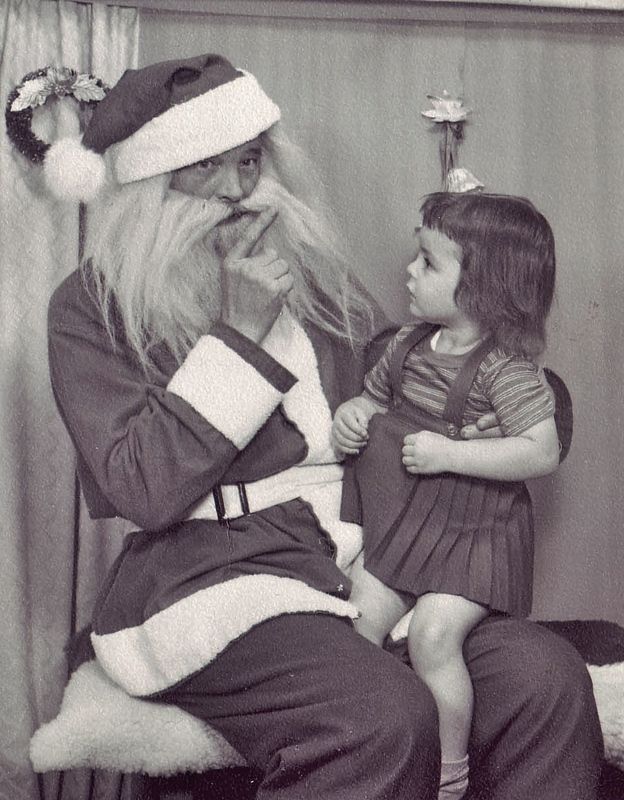 Either that, or it was an illicit Santa visit AFTER my dad joined the religion. I look a little older than three, so maybe it was. There have been times when I have lamented not knowing many things about my dad’s or mom’s childhood, but here I am looking at a mystery of my own.